Invisalign® is an innovative and alternative teeth straightening procedure to traditional orthodontics. Invisalign has perfected its revolutionary technology over a 20-year span and has worked on over 5.5 million patient smile imperfections, so needless to say, Invisalign is a trusted alternative to braces. A straighter smile is not only an aesthetic, it’s actually healthier! 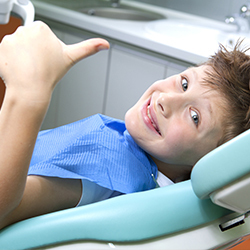 Debris have a harder time hiding in the nooks and crannies when your teeth are straight. If you’re ready to smile on with a healthier, straighter smile, learn all about Invisalign in today’s post. 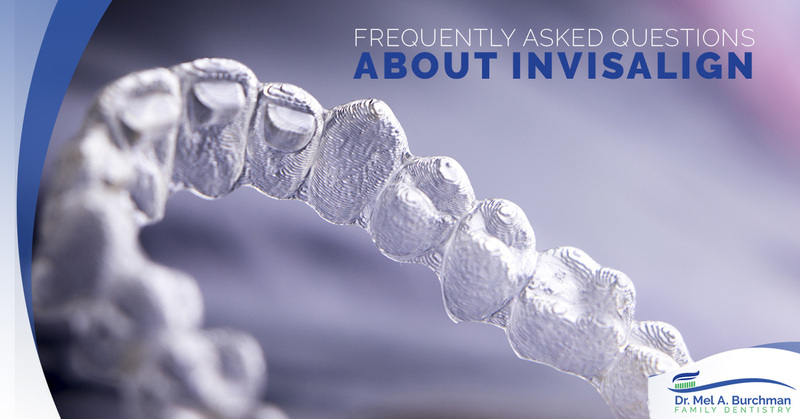 Though Invisalign has been around for some time now, there are still misconceptions to the Invisalign process, so we’ve compiled the most common frequently asked questions. Invisalign is an alternative orthodontic treatment to braces to correct a myriad of teeth and bite concerns. Invisalign implements a series of clear and removable aligners that straighten your teeth over time. The SmartTrack technology is FDA-approved and contains no BPA, BPS, gluten, or latex. Invisalign is unique to every patient and maps out the precise movements of your teeth to apply the right amount of pressure and force to expertly straighten and correct your smile. The aligners are clear and almost invisible, and you are able to easily remove them to eat, drink, brush, and floss. Invisalign uses the best in SmartTrack technology and provides a comfortable and better fit, compared to our competitors. Who is Best Helped by Invisalign? Invisalign is a great option for virtually anyone — teens and adults alike. The technology can fix difficult bites, as well as teeth that are just a bit crooked. The best part about Invisalign is it doesn’t interrupt your busy life! What Does the Invisalign Process Look Like? Find an Invisalign-trained dentist in your area – Not all orthodontists and dentists are trained in Invisalign — make sure you get the best care and outcome by finding a dentist trained in Invisalign. 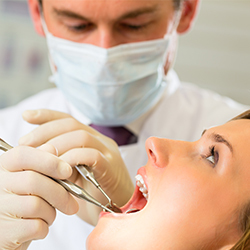 Visit an Invisalign-trained dentist – Your dentist will evaluate your teeth and create a custom plan that will give you a step-by-step plan of action. Get your aligners Created – Once you approve the final patient treatment plan, your Invisalign retainers will be created. You’ll then wear your retainers for 20 to 22 hours per day and get a new set of aligners every one to two weeks or as directed by your dentist. Can Invisalign Help Teeth Post-Braces? If you’ve had braces and your teeth have shifted over time, Invisalign is a wonderful option to re-straighten your teeth. Many people who have had braces in the past opt for Invisalign because of the freedom it gives. How Do You Care For the Aligners? The best way to care for your Invisalign aligners is to brush them with toothpaste and a toothbrush and then rinse with lukewarm water. It’s important to never use hot water, as it could warp and change the shape of the aligners. Invisalign helps virtually everyone through their cutting-edge technology and gives patients the freedom to move about their daily lives, while getting the best teeth straightening procedure out there. For more information about Invisalign, connect with our office today!